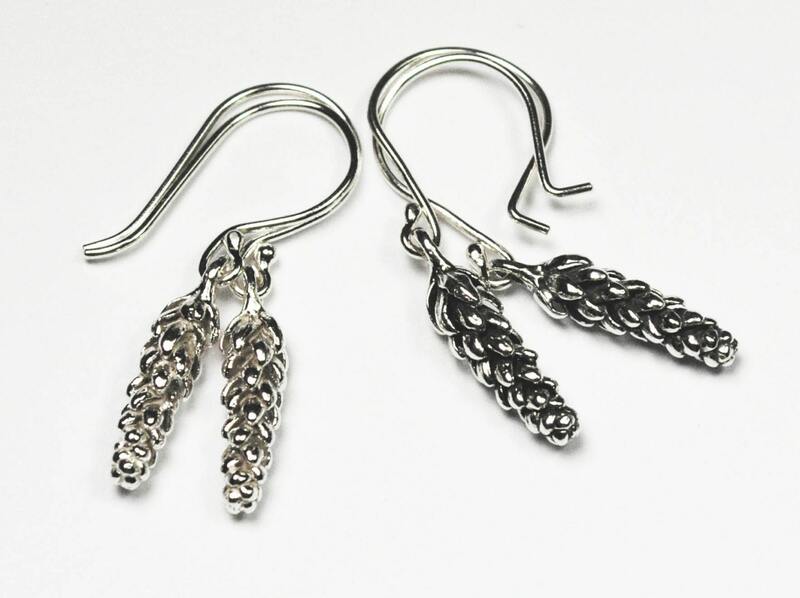 These earrings are made from the tips of Norfolk Pine tendrils I found in San Francisco, CA. 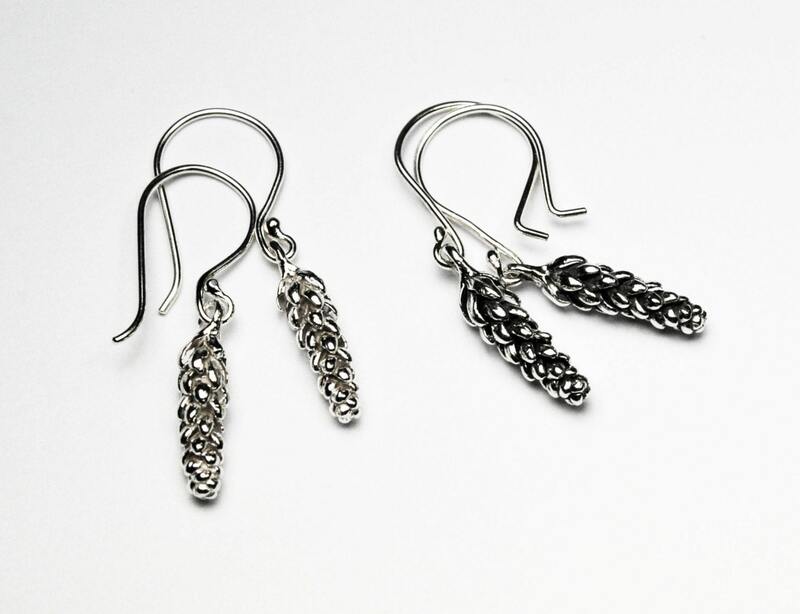 They are cast in solid sterling silver and hung on hand made sterling silver ear wires. The charm not including the hanger measures approx. 18mm x 4.5mm. Earring including ear wire earring measures approx. 3.22 cm. 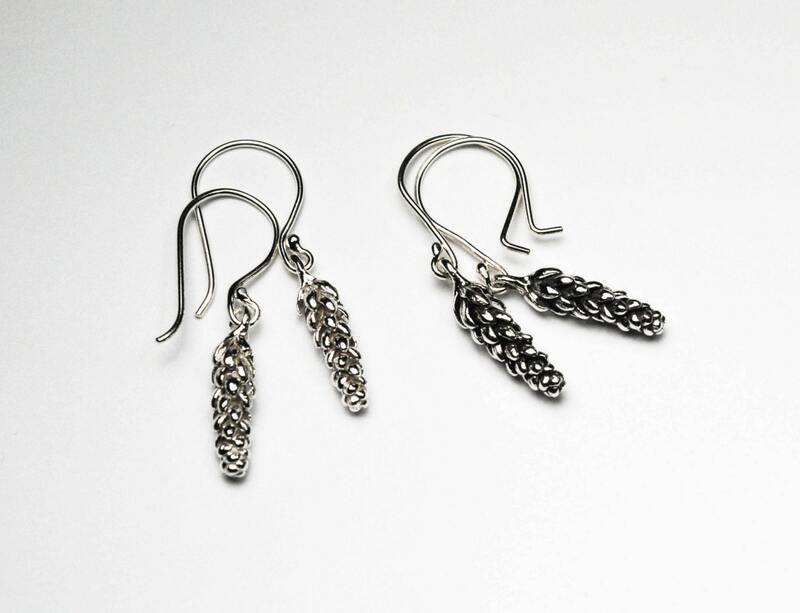 Available in white silver or partially oxidized silver.